Aim: Get together and celebrate! Make plans for the project; who are the contributors and what are the expectations. Plan activities and organization of the project. Discuss interactions with and contributions to the Digital Life Norway (DLN) Centre. Invited: Partners, contributors and group members, stake holders, steering committee/Digitalt Liv Norge representatives. UiO: Marianne Fyhn, Torkel Hafting, Anders Malthe-Sørenssen, Morten Hjorth-Jensen, Camilla Esguerro. OUS: Ole A. Andreassen, Srjdan Djurovic, Torbjørn Elvsåshagen. NMBU: Finn-Arne Weltzien, Gaute Einevoll, Kjetil Hodne. 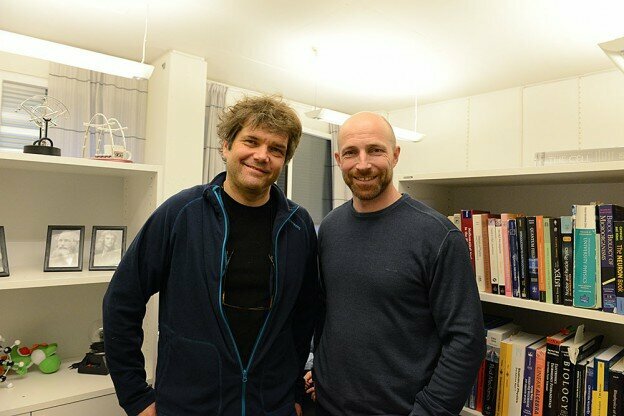 Simula Research Laboratory: Aslak Tveito, Andy Edwards. Where: Bikuben, Kristine Bonnevie’s hus, Blindern. Dinner downtown Oslo. This entry was posted in conferences, grant on 01/26/2016 by Torkel Hafting.